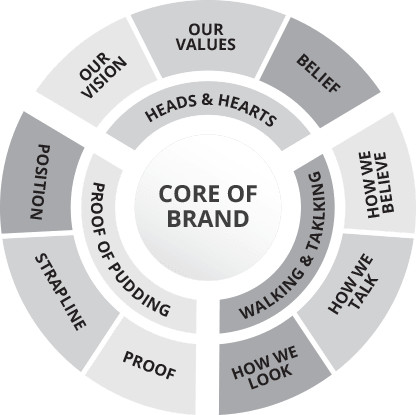 Branding is an extremely complicated art and science. It goes way beyond just the visuals, but encompass a much wider area such as copywriting and communication. That is why having a good digital brand strategy is important, and you should never leave it to chance. Get a good brand agency Malaysia. A good digital strategy that speaks directly to your customer and plays on their sweet spot is crucial. Let us help you craft that. The thing about branding is that it is not just external, but internal as well. A brand agency Malaysia is fantastic when it comes to crafting external messages, but often neglect internal branding. Do your employees really buy your vision? Do they really find your company’s purpose interesting enough to adopt it as their own? 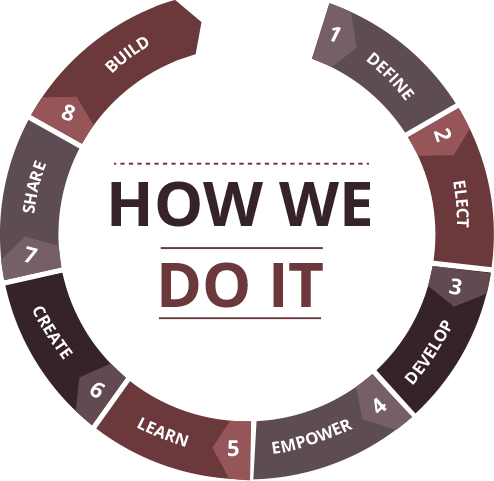 A brand agency Malaysia like ours focus on both internal and external, because we believe if you want your customers to buy in your vision, you have to do that yourself first and foremost. Integrated marketing communication (IMC) is a big buzzword agencies throw about to confuse clients. But what it really means is this: saying the same thing all the time. In other words, whether you are drawing a flyer or sponsoring a local event or appearing in a public forum, your brand remains consistent and streamlined. But because the market, your company and your customers are so complex, communicating effectively and accurately is easier said than done. Got a new product? Where do you lump it in the grand scheme of things? What if it’s a totally new product category? Or an entirely new industry? How do you categorize it while ensuring it is streamlined to your main vision? This is when complicated brand charts come in, so leave it to the experts to figure it out. Your brand is too important to leave to chance. You make the best whatever? You know it. We know it. It's time THEY know it. Branding goes beyond the colour of your logo. Who cares if your logo is electric blue or chilli red? Who cares if you took 50 meetings to think of your corporate tagline? Who cares about your vision, mission or values? Who cares if your company name has a deep metaphor or symbolism? No one does. Who would understand this better than the most provocative brand agency Malaysia? The secret sauce in making people care about your brand is to talk directly to their heart. It's all about the brand promise – with your product, their lives will be better. And they want to enjoy experiencing your brand, just like how how they want to enjoy a movie even if they already know the ending. So seduce them, intrigue them and leave them breathless. Having a great brand makes people not only desperate to want your product; it makes them proud to be associated with you. And this makes them tell others. Cult brands follow the same path, and now, you too can do the same. Consumers may not know Youmo Studio, but they certainly see the results of our work every day. Working with Youmo Studio is pretty straightforward. Tell us what you need, and we'll make a cult out of your brand. We might say we're the hottest brand agency Malaysia, but our clients know us more for our ability to bring life out of their brands. A brand is like a child; it needs to be nurtured. But once they reach a certain point, they are let loose and then, they take a life form on their own. We follow an 8-step formula in building cult brands. The ultimate goal of each goal is to build a brand that is so irresistible, they cannot live without you. You're in their lives; whether they are awake or when they sleep. When that happens, our Clients thank us. We've built many brands in Malaysia. Is it your turn next? COPYRIGHT © 2019 YOUMO STUDIO SDN BHD. ALL RIGHTS RESERVED.